When a customer comes to your website, he/she has several options to connect with you which may include business emails, live chat support service, phone calls to other call center agents etc. Sometimes while calling the call center executives, they need to pay as all calls are not toll free or need to wait for a longer time if all agents are busy in serving others. All these problems can be eliminated by ‘Live Voice Call’ option. 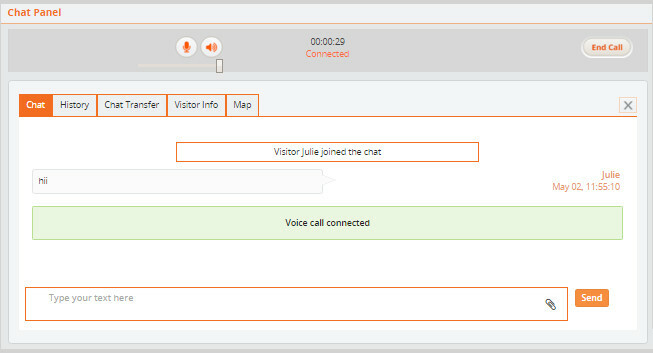 Very few live chat solutions like REVE Chat offer live voice calling facility for its customers. With the help of WebRTC and VoIP technology, it allows your visitors to initiate free calls to your support agents within the website itself. So customers can easily navigate the website while initiating the call as it’s totally browser based. Apart from that it will be much easier for you to manage your live support service more efficiently. In the live chat banner, there will be a ‘Voice Call’ button clicking on which website visitor can directly talk to your support agents. 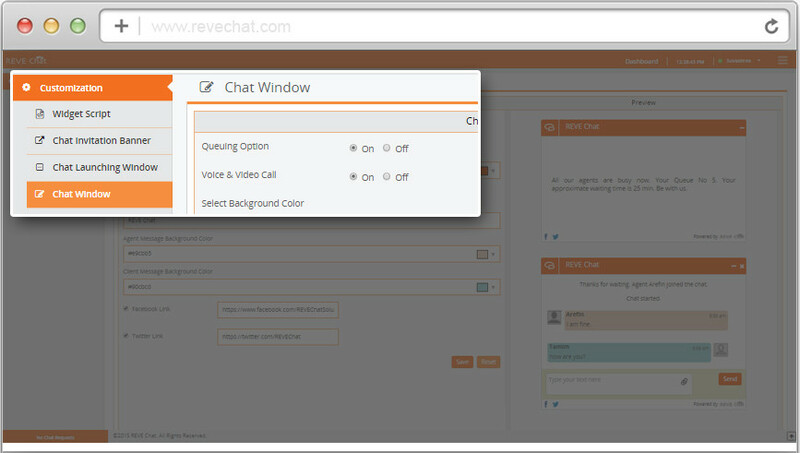 To implement live phone support on your website, sign up for REVE Chat’s 14 days FREE TRIAL today! How to enable this free web calling facility? 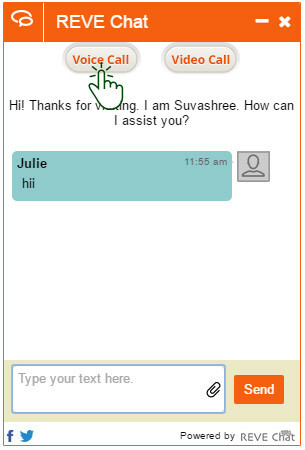 I. Login to your REVE Chat dashboard with the given login details. II. 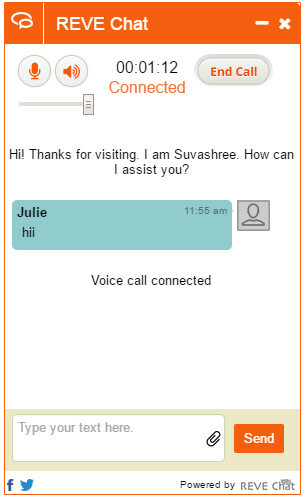 Go to ‘Chat Window’ under ‘Customization’ section and enable ‘Voice & Video Call’ option. Finally, click on the ‘Save’ button to apply your changes. I. Your website visitor will click on the ‘Voice Call’ button to initiate the call to your support agent. II. Your agent will see the call notification on his dashboard itself. By clicking on the ‘Accept’ button he can receive the call and start talking. Once the call gets connected what the visitor will see? Once the call gets connected what the agent will see? So this free web calling facility offers an instant way to talk to the support agents. Though it may not be a must have for businesses with an online presence, but several organizations like educational institutions, consultancy firms, etc. will be greatly benefitted from this live phone support service. Interesting article, As we all know that today live chat is playing an crucial role in business and its a cost effective tool and audio calling facility will help on the online portal to attract a large share of customer traffic. Useful tips on how to be more effective during a live chat session. Keeping these in mind we can surely satisfy our clients and make them feel comfortable. It will be helpful in retaining customers. Thank you. Thanks Nickcon for your appreciation. Nice to read it. Hope audio call will provide a business with quite a lot of benefits such as improving conversion and enhancing customer satisfaction and solve customer problems instantaneously. Keep posting such article. Thanks Jim. Online businesses will surely get benefited from this feature.